A Kwale Court, Kenya, was on Monday, October 12, thrown into shock when police officers claimed rats had eaten 540 rolls of bhang (a preparation of cannabis, traditionally used in food and drinks) stored at a police station as exhibit. 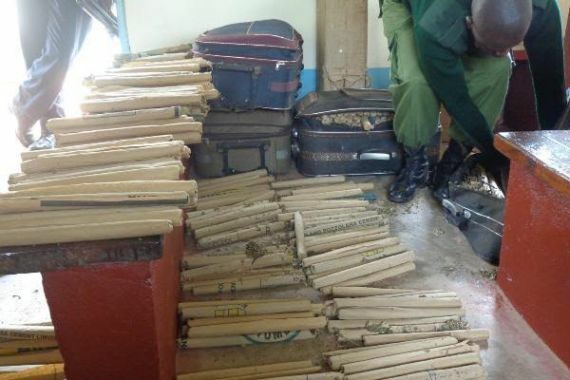 The three officers were testifying as prosecution witnesses in a case in which four women are charged with trafficking 1,710 rolls of bhang from Migori to Ukunda, Kwale. The three included Inspector Ken Olonde, who was the investigating officer, AP Inspector Patrick Baya, and Sergeant Hamisi Kombo, who arrested the suspects. While cross examining the witnesses, a lawyer Abdull Aminga who is representing one of the accused, put the officers to task to explain why the quantity of the drug had reduced to 1,170. The officers who were testifying before Resident Magistrate Paul Mutai told the court that the rodents that have invaded Kwale police station where the exhibits are kept and fed on the bhang. But what was baffling is the fact that the rats had not punched holes in the four suitcases containing the exhibits, raising questions as to how they could have consumed the bhang. Aminga took issue with the investigating officer saying he had done a shoddy job considering that part of the exhibits had gone missing. The lawyer also disputed the witnesses’ testimony that the bhang consignment had a street value of Sh1million whereas the figure quoted in the charge sheet is 82 kgs of the drug worth Sh500, 000. The accused, Pauline Moraa, Elizabeth Atieno, Nancy Auma, and Mercy Achieng were arrested on July 24, last year at Banga Village in Mbunguni Location, Matuga Sub-county. Hearing of the case will resume on December 16.